This dainty pair of bright blue Victorian shoes came with the dress and parasol I am selling in my Ebay shop currently. 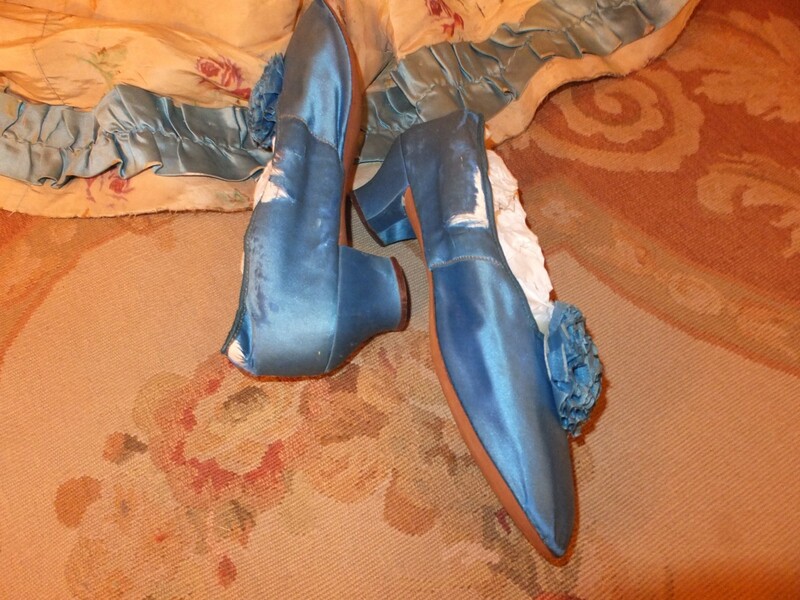 Although I can tell that the shoes do have a similar date to the dress [ie mid 19thC], I cannot say for sure that the set belonged together originally. 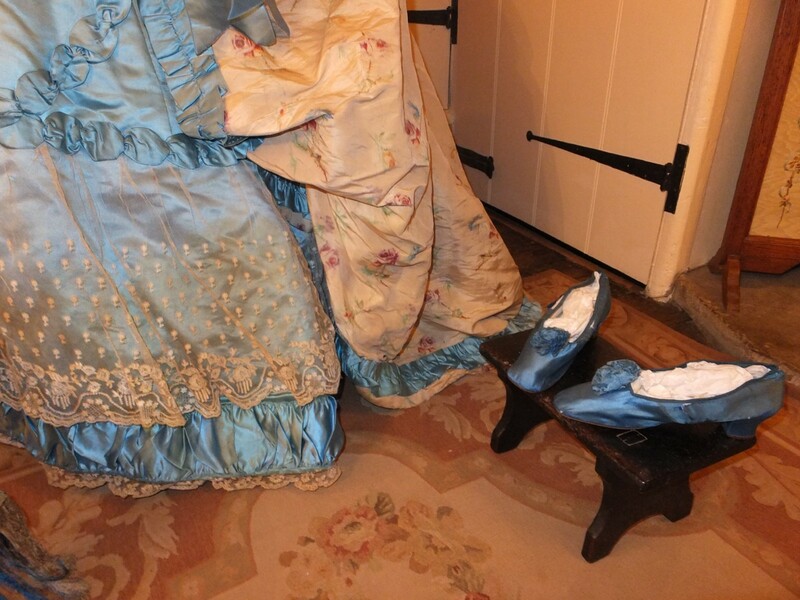 The colour blue is just slightly darker than the cornflower blue of the dress, so some might call them a royal blue. 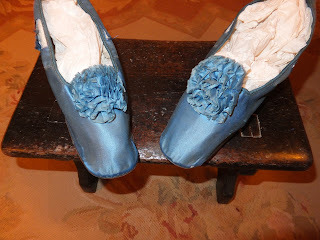 They would look equally wonderful with an 'electric blue' dress so popular in the 1870's. Absolutely for the collector and display only, please do not bid on them for wearing. 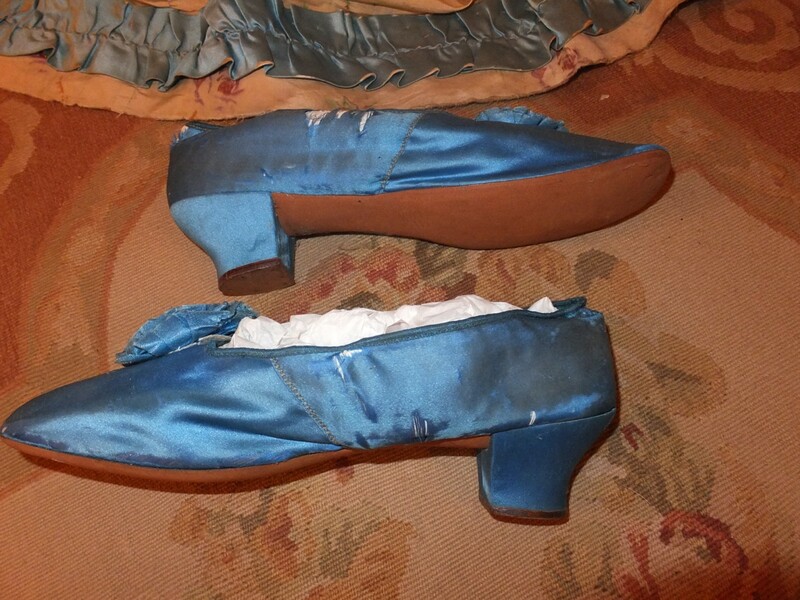 I have sold many pairs of Victorian shoes, but never in this blue silk, so I consider them to be a real treasure! The shoe front panels, with their large rosettes, are in remarkably good antique condition, with only a tiny hint of silk loss, and shattering to the extreme toes. The typical mid 19th Century 1.5" heels are also silk covered and are equally good. 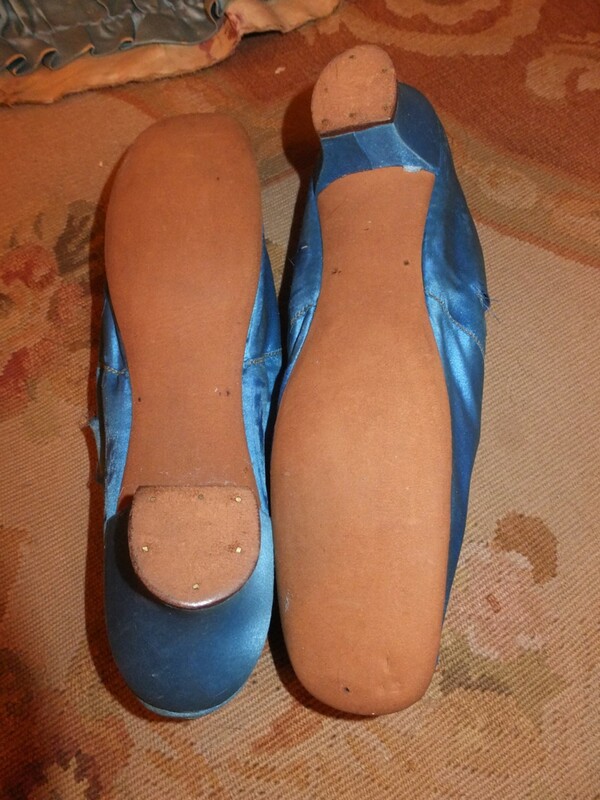 The soles appear only gently worn, indoors certainly and perhaps for dancing! However, the shoe sides and back are less good, with splitting and silk loss. Inside we can see the usual early kid leather and linen lining. The shoes are hand made. 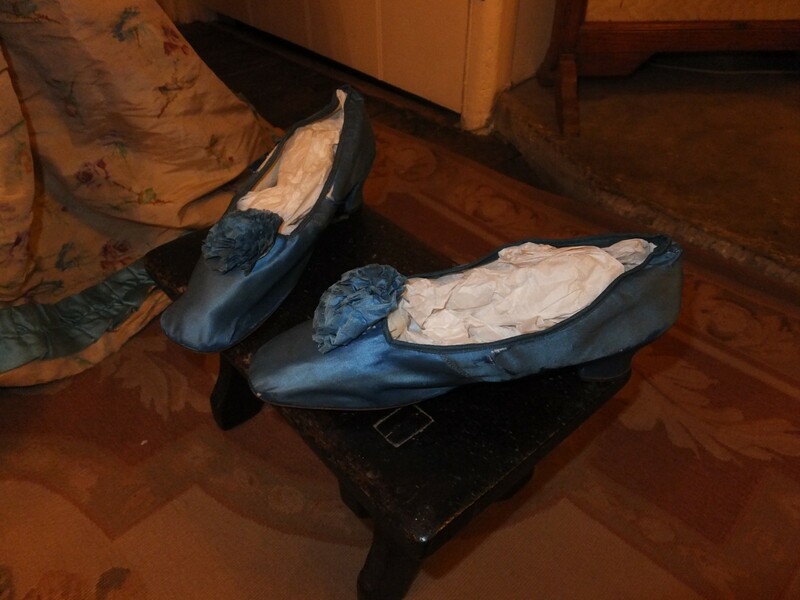 Each shoe is 9" long and 2.25" wide, quite normal for the time, but they appear to be far smaller. 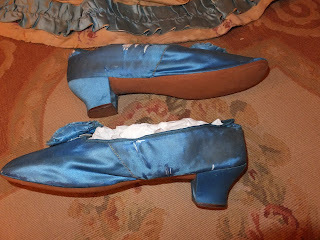 The square toe and the heel scream 1840's to me.